That is, according to the Rule of St Benedict (Prologue 15), what the Lord is asking everyone of us. And the answer seems to be clear: Of course, each one is seeking for true life and happiness! But what is 'true life'? And what is it that makes us really happy? We feel that we cannot be content with only living in this world. Our heart tells us that there must be something more; it yearns for everlasting life and a love that cannot be granted by a human being, but only by God. God created us as men and women to be strong and free and therefore able to love Him forever as our dearest friend. However, again and again we experience that many things are drawing us away from God in our daily life. Most of the time we use to forget Him and His wonderful plan with us. In consequence our relations with ourselves and with others are not true and faithful. So we get to know that we are in need of help in order to learn how we can be aware of God in our daily life. The reason why we gather in a community is to focus our whole life on God. No matter whether we are praying, reading or working, we try to live in God's presence in order to get gradually transformed into women who are able to overcome their egoism, pride and fear. For this we also get up in the night when all is quiet in- and outside of ourselves, in order to contemplate Jesus Christ in the garden of Gethsemani, to be with Him, who gave His life for us and all. And we also are with those who are suffering and dying, in these times. In our Order we combine both: solitude and living in a community. The time in the night and in the morning before the celebration of the Eucharist is dedicated to the encounter with God in silence and solitude, by praying and reading. On the other hand, we live together as sisters and friends, who share the same life, working together and helping each other. At present, we are six sisters, but there is enough space and work to be done for ten or twelve; although we do not want to become too big a community, for we are convinced that in our time the Church rather needs small groups of people, who dedicate their life totally to God. Finally, here is a short historical survey: Our monastery was founded in 1984 by two Trappist nuns coming from the Abbey of Maria Frieden. 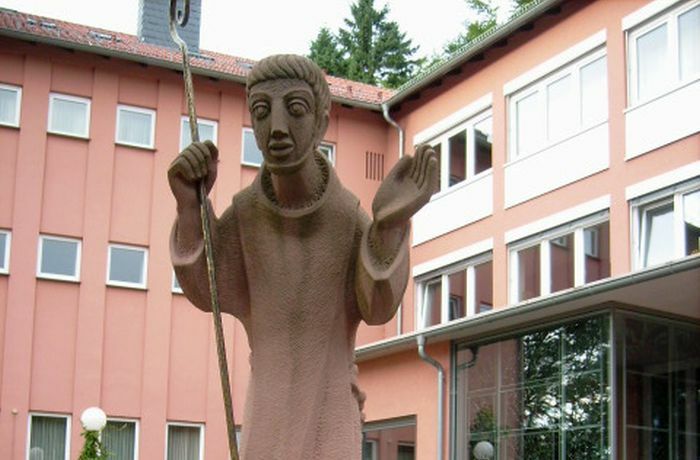 Spiritually accompanied by the Abbot of Echt in the Netherlands, we lived under the authority of our Bishop until 2002, when we were integrated into the Cistercian Order of the Strict Observance as a foundation of the Abbey of Altbronn (now Baumgarten) in France. In 2005, our monastery became an autonomous priory.